Let your little princess flaunt her carefree avatar wearing this stylish top from Tiny Girl. 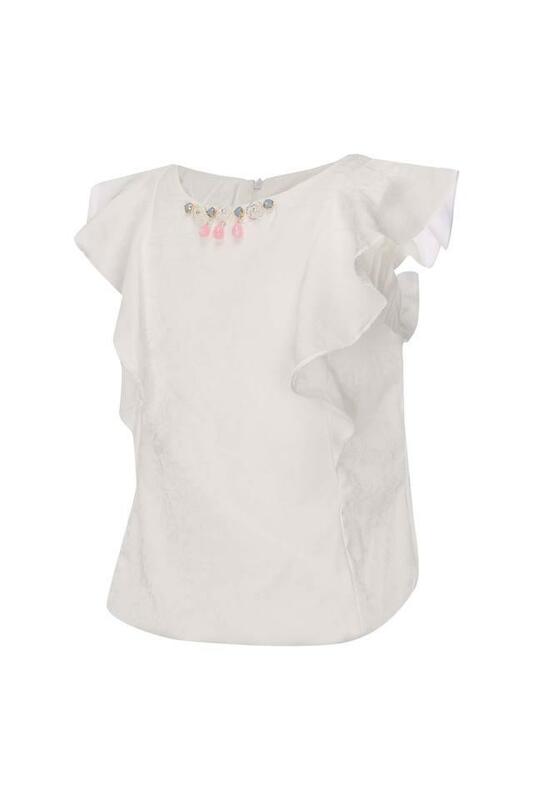 She can wear this top all day long, thanks to its comfortable good quality fabric and it features round neck and flared sleeves along with solid pattern which adds to its design. 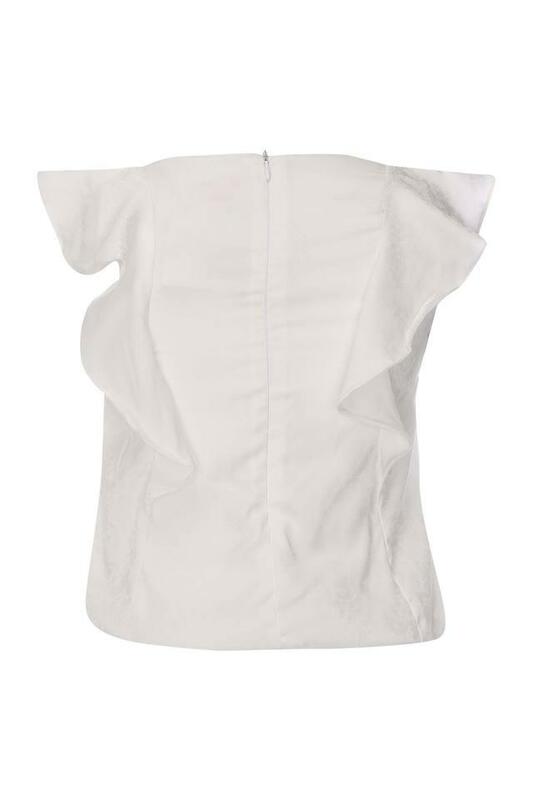 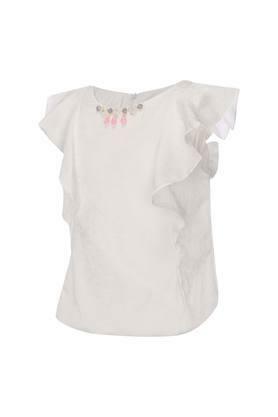 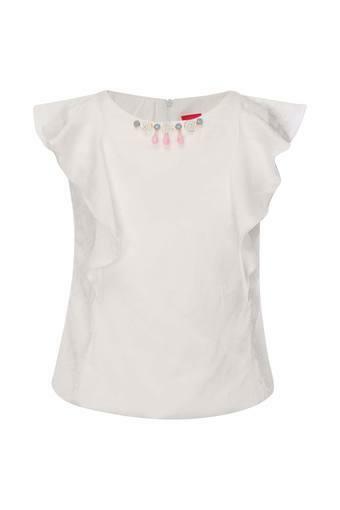 Give the wardrobe of your little daughter a stylish overhaul with this top. Let her club it with a pair of shorts and ballerinas to look complete for any casual occasion.